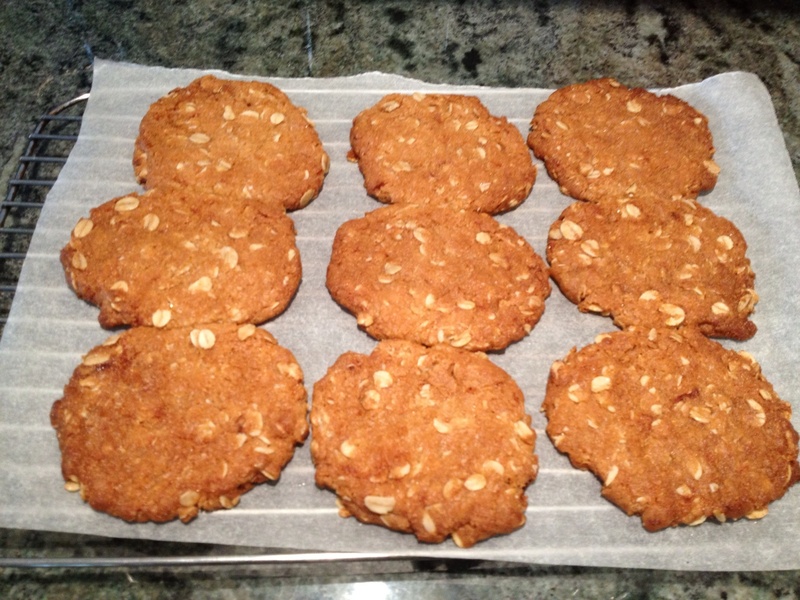 Anzac biscuits are an Australian and New Zealand Anzac Day tradition. There are as many recipes around as there are stories as to the origins of the biscuits. Legend says that they were made to send to the troops in World War I serving in Europe, but it seems that the original biscuit, or tiles, as they were called, were much harder and long lasting with more basic ingredients. Interestingly, the name “Anzac” is protected in Australia with an exemption for the biscuits, provided they stay true to the original recipe. 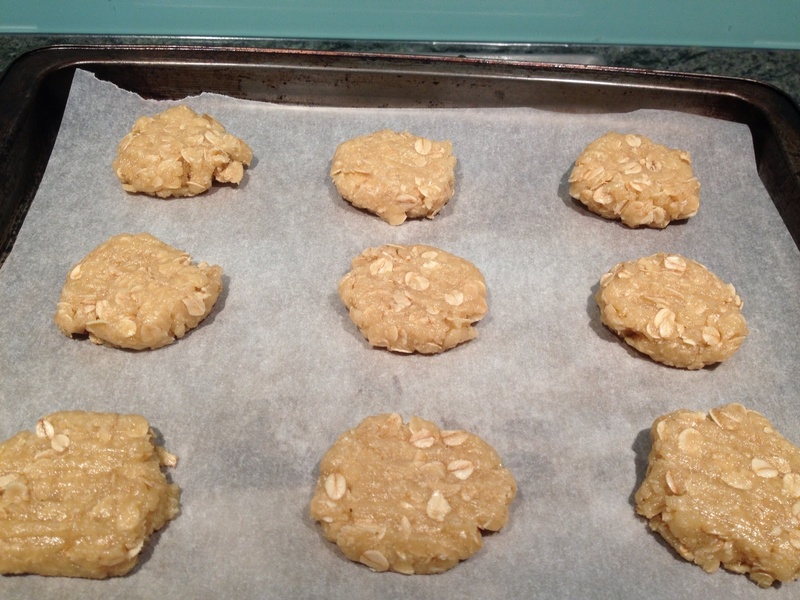 Although rolled oats, sugar, coconut, flour, butter and golden syrup and bicarbonate of soda are now key ingredients (never eggs), coconut was not included in the original tile recipe, available on the Australian War Memorial website. There are a lot of recipe variations available, but they should still contain the traditional ingredients, not macadamias, ginger, chocolate, and all manner of other things. Some recipes use less sugar than this, but I checked this against the recipe published by the Australian War Memorial, which also uses one cup of sugar, but amend to your own taste. This recipe made 27 generous sized biscuits, in three batches. It’s quick and easy and a great one for the kids to make on this special day. Preheat oven to 180 degrees. Mix together in a bowl the first five dry ingredients. Melt the butter, golden syrup and water in a saucepan or microwave, then add the bicarb soda and mix well, which will bubble up. Add this to the dry ingredients and mix with a wooden spoon. Roll into small balls and put on a baking tray, flattening the balls with a fork. Bake for 12-15 minutes in moderate oven (180 degrees), checking after 12 minutes. When golden brown, remove from oven and allow to sit for a few minutes, then slide onto a cooling tray. The easiest way to do this if the biscuits are still hot is to slide them off the baking tray still on the baking paper. As they cool, they will crisp up and harden. 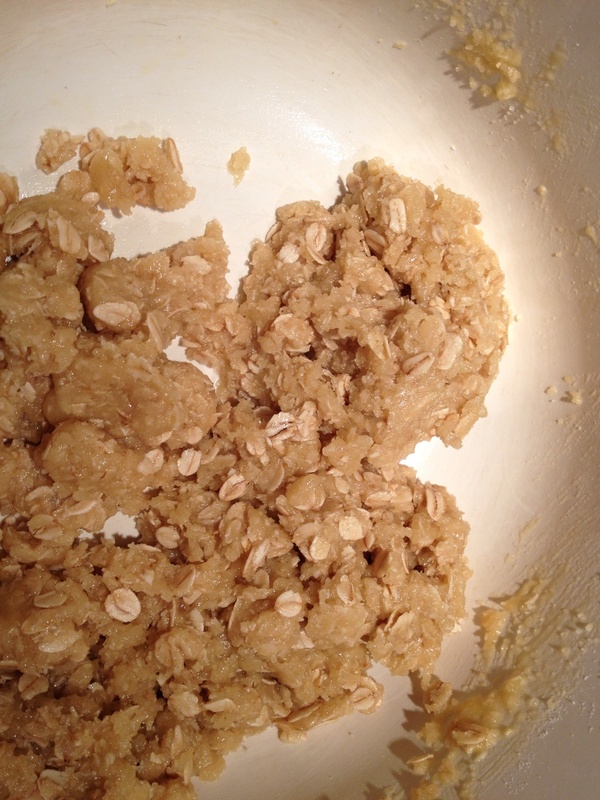 Ensure you sift the flour and bicarb soda (not together!) before adding to their respective mixes. Check that the balls are the same size, and put fewer on the baking tray so that they don’t touch during cooking. 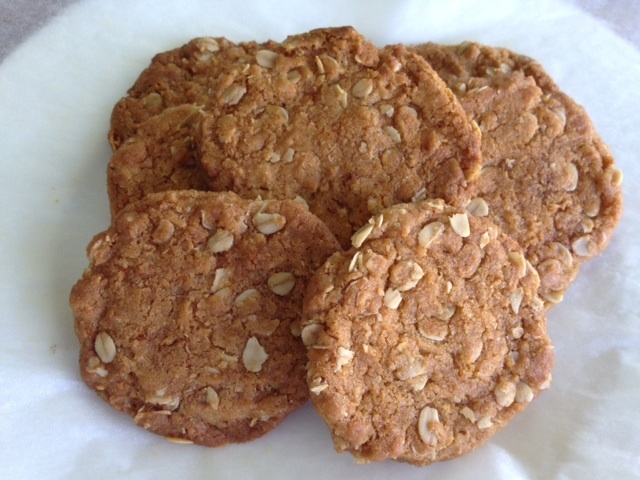 The judges will be looking for a medium sized biscuit (not too big or small), evenly cooked, with a great flavour. Crispness of the biscuits is an important characteristic, so ensure that they are flat enough to crisp up as they cool.